Here’s six reasons why you can’t afford to miss original series and new movies on AMC this March! The record-breaking companion series to The Walking Dead is coming back to AMC in April with a highly anticipated second season, but you don’t have to wait that long to satisfy your cravings. To get you warmed up for Season 2 of Fear the Walking Dead, arriving on Monday 11th April, we’re replaying the whole first season. Relive the outbreak all over again on Monday nights at 9pm from March 7th – exclusively on AMC. Following the dramatic Season 2 finale of Breaking Bad last Monday, you might have started to wonder when you’d be able to get your next fix of the incredibly addictive series. But don’t worry, we’re not cutting you off for long. Season 3 kicks off almost immediately on March 9th, at a new time of Wednesdays at 9pm, and as Walt and Jesse’s reputations grow they start to make a few interesting allies, and dangerous enemies. The web of lies continues to expand in the thrilling period drama about the secret quest to build the first atomic bomb, and the explosive season finale is just around the corner. Don’t miss new episodes of Manhattan every Tuesday night at 9pm, with the final episode of Season 1 airing on March 29th. We pay tribute to the man who just won the Academy Award for Best Director for the second year running. Only 12 months after picking up three little gold men for Birdman, Alejandro Gonzalez Inarritu won again at the Oscars again for his epic masterpiece, The Revenant. Our #MovieNight on Thursday 3rd March is dedicated to the visionary director, with two of his early Oscar-nominated films back-to-back. Babel kicks things off at 9pm before 21 Grams at 11:40pm. March might not be the most exciting month on the calendar, but St Patrick’s Day never fails to disappoint. This year it falls conveniently on a Thursday so we had to dedicate our #MovieNight to some of Ireland’s finest acting exports. Irish duo Liam Neeson and Pierce Brosnan face off in Seraphim Falls at 9:30pm, before Jonathan Rhys Meyers stars in the terrifying thriller Shelter at 11pm. Then it’s time to knock back an Irish coffee and stay up for Irresistible with Northern Ireland’s own Sam Neill. With Oscar fever still raging, we’re bringing you a host of new movies this March including some of Hollywood’s biggest film stars. Channing Tatum, Joseph Gordon-Levitt and Ryan Phillippe star in Stop-Loss on Sunday 6th March, a harrowing drama about returning veterans of the Iraq War. Mel Gibson also pays tribute to the armed forces in the Vietnam War epic We Were Soldiers on Thursday 24th March. 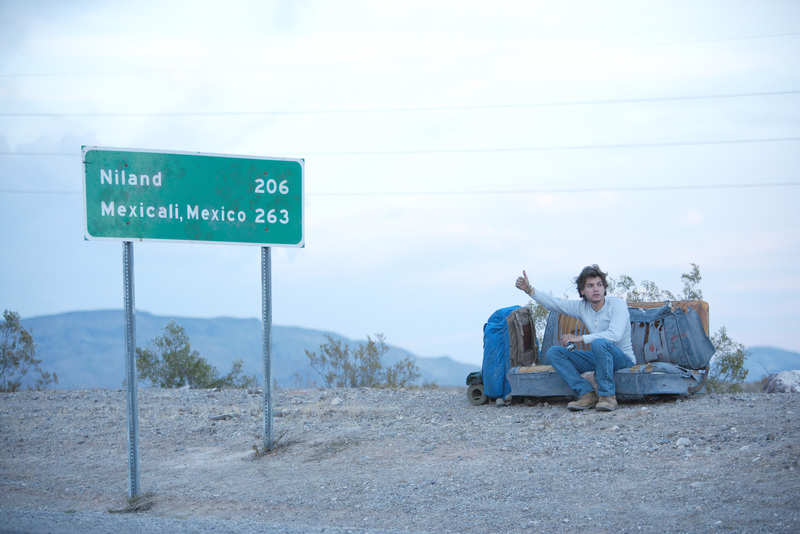 Emile Hirsch goes Into The Wild on Thursday 10th March and ‘Stone Cold’ Steve Austin stars in The Condemned on Saturday 26th March.